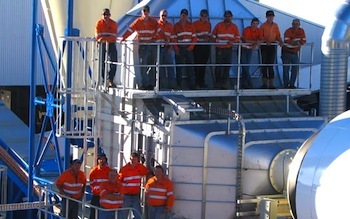 Blask Engineering exists to provide unsurpassed quality and project delivery of heavy metal manufactured projects and project management and shutdown services for businesses across Australia. The company has been operating within the fabrication industry for over 20 years and continues to grow as a preferred metal manufacturing company to engage with. This is reflected in the company’s Australian standards ISO9001 manufacturing quality accreditation. The company’s team all have a passion for excellence in plate and structural fabrication, project management and developing client specific products and services creating an ongoing variety of construction scenarios. This ensures that they are up to date with the ever-changing requirements within the Agricultural, Oil, Gas and Mining Industries.